"In 1964 two high school friends, Brice (Bruce Campbell) and Cleveland (Christopher Howe) leave their suburban neighborhood in Michigan to spend the summer in the countryside before going off to college. They are befriended by a lonely farmer, Jack Bodell (Perry Mallette), who offers them a place to stay. As days pass, Cleveland helps Jack around the farm and finds in him the father figure he lacks, while Brice falls in love with a local girl named Cindy. The unforgettable summer ends too soon, but the memories linger. 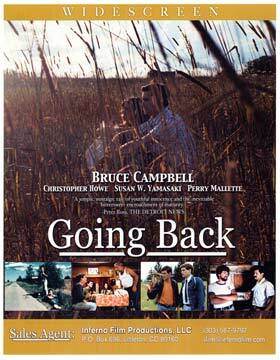 Four years later Brice and Cleveland drive up to Jack's farm and learn that there is no going back..... 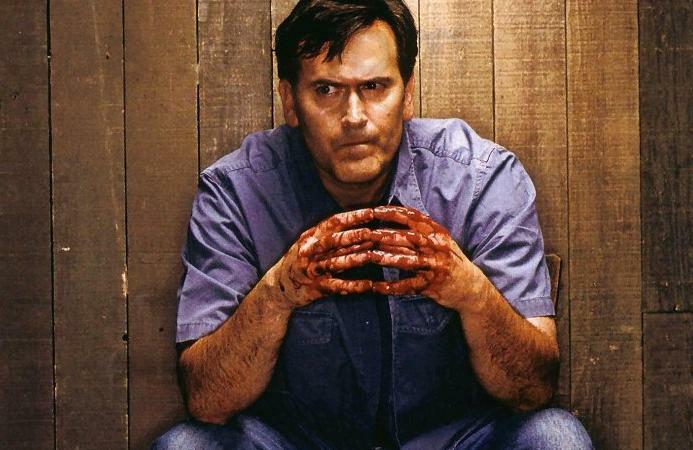 In this, his dramatic debut, Bruce Campbell, who is well-known for his horror and comedy roles, shows a depth and sensitivity that compliments his wry wit. " So go and get the movie and add it to your Bruce collection. It will be a different movie than you normall see Bruce in. Note: I posted one more article under this one today. It is regarding Bruce's appearence at a couple of showings of The Evil Dead Musical.